In the now-infamous article by the New York Times Magazine on how a network of Iranian regime lobbyists, activists and journalists was created to feed a false narrative about the Iran nuclear deal. 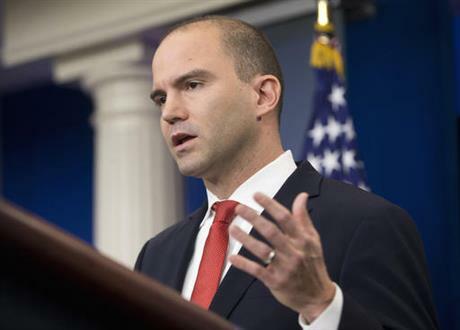 National security staffer Ben Rhodes called it an “echo chamber” where so-called independent experts were in actuality actively working at the direction of the White House media operation. The key messages, social media postings and parade of so-called “experts” was designed to put forward the story that the nuclear deal would put a stop to Iran’s nuclear development, empower moderate elements within the Iranian government and stabilize the Middle East. Alternatively, this same echo chamber fought against any effort to link human rights, sponsorship of terrorism or strict guidelines on inspections of Iran military facilities as being destabilizing the prospects of an agreement. Since the deal was struck last year, the world has discovered how completely wrong all those assumptions were, but worse, how the Iran lobby, directly funded with cash from groups aligned with Iran, was essentially lying. The avalanche of disclosures now come fast and furious as we begin to see the scope, size and sophistication of the Iran lobby’s efforts, especially in swaying favorable media coverage by paying news outlets such as National Public Radio hundreds of thousands of dollars for positive coverage of the deal. Bloomberg in a report examined the full scale of the Iran lobby’s network and operations in supporting the Iran nuclear deal based a series of leaked emails he received. It discovered that the actual campaign for the nuclear deal did not start in 2015 with negotiations as Iran regime supporters claim, but rather launched a full four years earlier with Ploughshares Fund leading the initial organization long before Rhodes began meeting with progressive groups on shaping the Iran narrative, which may indicate that the administration itself may have been played for fools by the mullahs in Tehran all along. Beginning in August 2011, Ploughshares and its grantees formed the Iran Strategy Group. Over time this group created a sophisticated campaign to reshape the national narrative on Iran. That campaign sought to portray skeptics of diplomacy as “pro-war,” and to play down the dangers of the Iranian nuclear program before formal negotiations started in 2013 only to emphasize those dangers after there was an agreement in 2015, Bloomberg writes. The strategy group, which included representatives of the Arms Control Association, the National Security Network, the National Iranian American Council, the Federation of American Scientists, the Atlantic Council and others, sought to “develop process and mechanism to implement Iran campaign strategies, tactics and narrative,” according to an agenda for the first meeting of the group on Aug. 17, 2011, Lake adds. The fact that Ploughshares funds the NIAC, the chief lobbyist for the Iran regime, and convened these strategy sessions back in 2011 clearly shows the planning by the Iran lobby to create a false narrative and then sell it to the White House. That sales job was undoubtedly helped in no small part by the inclusion of former NIAC staffers hired into the National Security Council, with one former Iran lobby staffer now heading up the NSC’s Iran desk. The centerpiece of those early strategy meetings was that the Iran lobby needed to change the “message” narrative, even though facts on the ground in Iran proved otherwise. While Iran was developing links to Al-Qaeda and exporting terrorism via Hezbollah and Houthi proxies, the Iran lobby needed to kill those stories in the media and substitute a more favorable one. The rest is – as they say – history, as the Iran lobby, led by Ploughshares money and NIAC staff, began pushing alternative messages into the media and spread around cash to news media, as well as recruiting supportive journalists such as Laura Rozen of Al-Monitor to serve as mouthpieces. 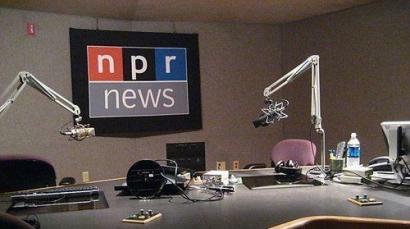 The group relied on their own network of “experts” such as Paul Pillar to serve as “impartial” third-party analysts to discuss the nuclear deal on news outlets such as NPR which was receiving funding from Ploughshares. The sad truth is that the Middle East is by far more chaotic and dangerous than at any other time in recent memory. The international community essentially has no idea what Iranian regime’s military is doing in developing ballistic missiles or nuclear warheads in fortified bunkers that no one even knew existed until the regime showed them off in videos. Human rights in Iran are abysmal and thousands of innocent Iranian men, women and children have been hanged, had limbs amputated, acid thrown into their faces and eyes gouged out as part of the normal Iranian justice system. And yet, the Iran lobby utters not one word of protest. Makes no harsh remark and takes no blame for essentially creating the world we have today. Even their most basic claim of empowering moderate elements in Iran’s government was slapped hard in the face by the announcement of the appointment of Ahmad Jannati to head up the powerful Assembly of Experts. 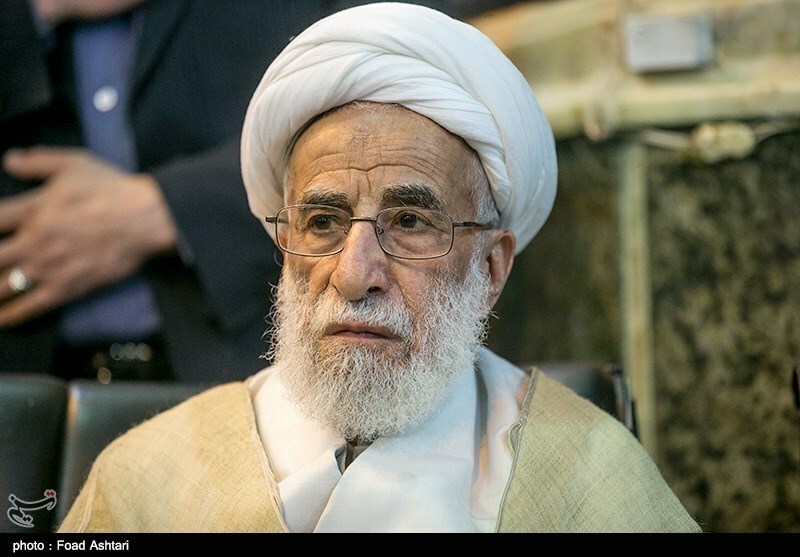 The 89-year old hardliner is well known for being a religious radical devoutly committed to exporting the Islamic extremism and protecting the mullahs and their ill-gotten gains. In addition to his new post, Jannati leads the influential Guardian Council, a vetting body that disqualified over 3,000 less loyal candidates for the February elections, which were held in parallel with the vote for the Assembly of Experts. All of which just goes to show how there are really no moderates within Iranian politics and government and to make any such distinction is to play into the narrative the Iran lobby has so studiously cultivated over the last five years. 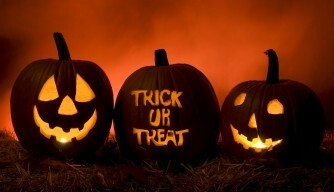 Halloween involves kids (and adults) firing up their imaginations to come up with costumes and then go knocking door to door seeking treats and getting the odd trick played on them maybe in a haunted house. For the Iran lobby, Halloween came a week early as the chief advocate, the National Iranian American Council, held its annual leadership conference this weekend. 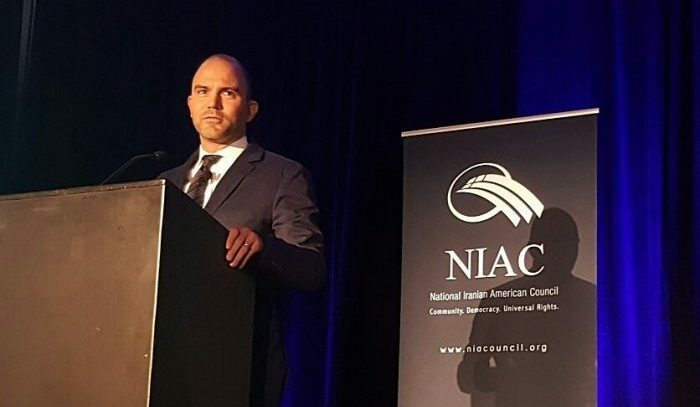 It’s worth noting that the NIAC bills its event as a premier conference for the nation’s Iranian-American community, but its agenda and participants hardly represent the views and beliefs of the estimated one million Iranian-Americans living in the U.S. In fact, the line-up of speakers at this year’s conference reads more like a line-up card of Iran regime boosters and potential business partners than any group seriously examining the daunting challenges remaining between the U.S. and Iran. What is even more amazing are the lack of any speakers who have first-hand experience with the abysmal human rights situation in Iran, nor were there any speakers offering views on the sizable opposition worldwide to the regime amongst the Iranian diaspora. Alan Eyre, the U.S. State Department’s Persian-language spokesman who came under fire recently for promoting anti-Semitic conspiracy sites demonizing American Jewish groups, as well as postings on his personal social media praising the regime’s controversial Quds Force commander Qassem Soleimani according to the Washington Free Beacon. Eyre also posted links to Lobelog, a well-known blog dedicated to supporting the regime’s key messages. The conference also featured several speakers who are actively seeking business deals within the regime including: Ned Lamont, chairman of Lamont Digital Systems; Jay Pelosky, a self-described advisor on emerging markets who recently visited Iran; and Amir Handjani, president of PG International Commodity Trading Services, a leading importer of agricultural commodities in the Iranian market. One interesting tidbit were comments made by Dr. Farideh Farhi who lamented the fact the nuclear deal had not led to substantial changes in U.S. policy towards the regime, but failed to note the swift shifts in Iranian policy towards the rest of the world in the rapid buildup of its military in Syria and launching of a new ballistic missile in violation of United Nations Security Council sanctions; both provocative acts. An appropriate comment since it neatly encapsulates the Iran lobby’s response to concerns over what the Iran regime will do now in the wake of the nuclear agreement. The recent rise in belligerent military action, coordination with Russia in blasting Syrian rebels back to the Stone Age and the conviction of Washington Post reporter Jason Rezaian all point to a slide into anarchy which has even alarmed Democratic lawmakers who initially supported the nuclear deal, but now have begun offering up new legislation designed to keep the regime in check. The NIAC conference was predictable in celebrating its perceived win with the nuclear deal and the effort now to safeguard potential foreign investment after “Implementation Day” on December 15 when the U.S. will pave the way by lifting economic sanctions and allow Iran to rejoin the world of international commerce. But the conference also revealed the biggest weaknesses of the lobby which was its inability or unwillingness to meet the most troublesome aspects of the Iran regime head-on; namely it horrific human rights record which leaves a deep and wide trail for the world’s media to follow. Which is why the NIAC conference was so focused on economic issues since the regime is desperate to not only get its hands on the estimated $150 billion in frozen assets to help pay off its military obligations in Syria, Lebanon, Afghanistan, Iraq and Yemen, but is equally anxious to bring in foreign investment to help prop up an economy devastated by gross mismanagement and corruption by regime officials.